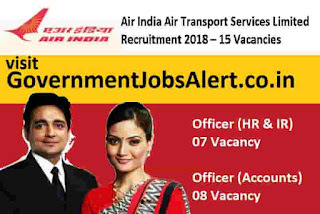 Air India Air Transport Services Limited Recruitment 2018 (AIATSL) invites applications from Indian Nationals (Male & Female) who meet with the requirements for the following posts on a Fixed Term Contract basis for a period of Three years which may be renewed subject to their performance and the requirement of the Company. If you are interested in the following post, you can read the requirements for both posts and apply. Last Date for Apply: 03/08/2018. Educational Qualifications: MBA or equivalent- in HR or Personnel Management Course (full time 2 years course) with knowledge of MS-Office operations. Preference will be given to those who have acquired the qualification in Law / Industrial relation / Labour Laws etc. Educational Qualifications: Inter Chartered Accountant/Inter Cost and Management Accountancy. ORMBA or equivalent in Finance (full time 2 years course) with knowledge of MS-Office operations. Experience: Must have 3 years experience or more in Accounts and Finance functions preferably with an Airline or Ground Handling Company with proficiency in statutory payments like ESIC, PF, Welfare Fund, Professional Tax, GST etc. Salary: Rs. 32200/- per month. Only the shortlisted candidates called for the selection process will be required to resubmit the physical Application Form duly filled-in along with copies of the testimonials/certificates (as per attached application format with this advertisement) and non-refundable Application Fee of Rs.500/- (Rupees Five Hundred Only) by means of a Demand Draft in favour of “AIR INDIA AIR TRANSPORT SERVICES LTD.”, payable at Mumbai, while appearing for Group Discussion/Personal Interview.No fees are to be paid by Ex-servicemen/candidates belonging to SC/ST communities. Please write your Full Name, Date of Birth & Mobile No. at the reverse side of the Demand Draft. 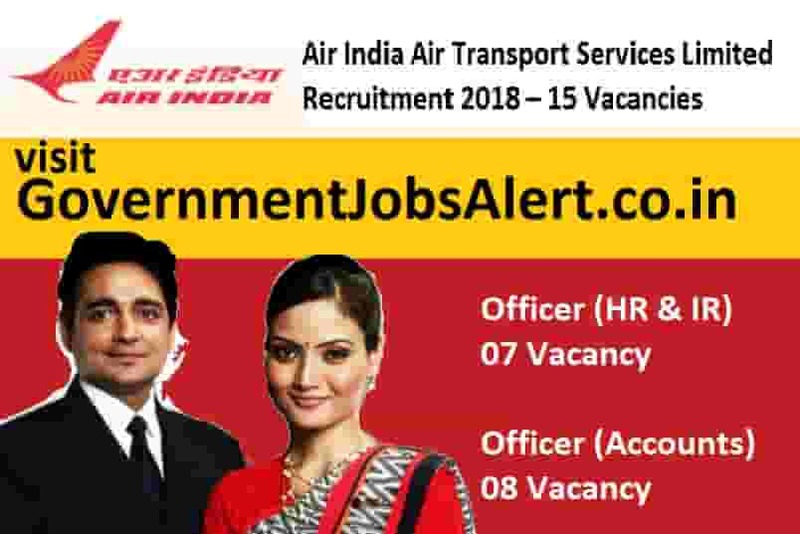 Payment mode (Online): The applicant meeting with the eligibility criteria as mentioned above are required to forward application as per attached format on email: rftc.aiatsl@airindia.in on or before 03/08/2018. No application by post will be considered.